This week, I have trawled the furthest corners of the net to stir up some very particular memories. This is one of those things that I thought I’d never find pictures of, but whilst searching for something else, I came upon some that stirred recollections of a lost period. The Superalloys foundry is now long gone – demolished in the eighties – but was situated on the Lichfield Road next to the canal, many Brownhills lads will remember the piles of war scrap that could be seen from the canal towpath opposite the yard. 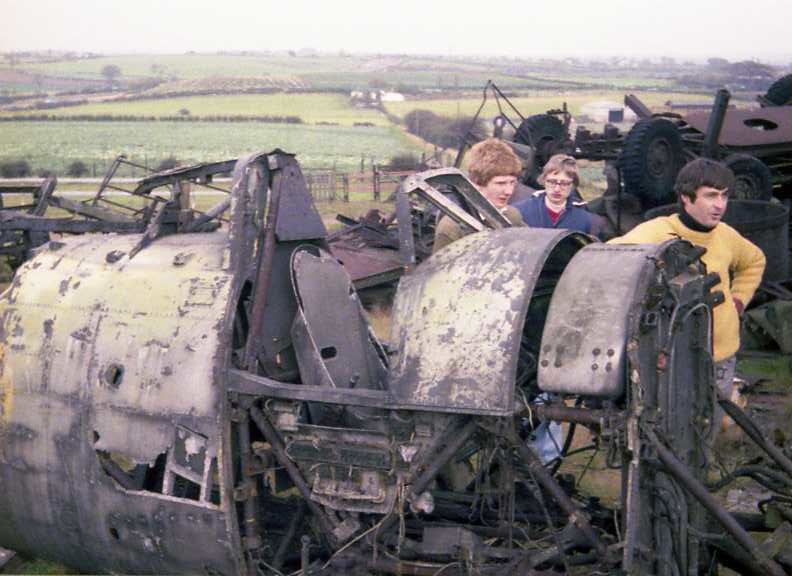 Old military ambulances, searchlights and extraneous metalwork rotted away unloved next to whole aircraft bodies, all being dismantled and melted down for scrap. There were regular fires here, and many of us have memories of trying to get into the yard from the canal. Daring tales exist of yound lads in canoes, rafts and braving canal ice, either to explore or scavenge metal. I’m after more history of this factory, now long demolished. It was a grimy landmark, visible for miles due to it’s enormous brick chimney. I remember well the art deco frontage and that elegant, square clock. Come on chaps, what can you remember? I know that readers Dave Bishop and Godfrey ‘Oakparkrunner’ Hucker in particular – as a firefighter of the period – has particular recollections of this fascinating factory. 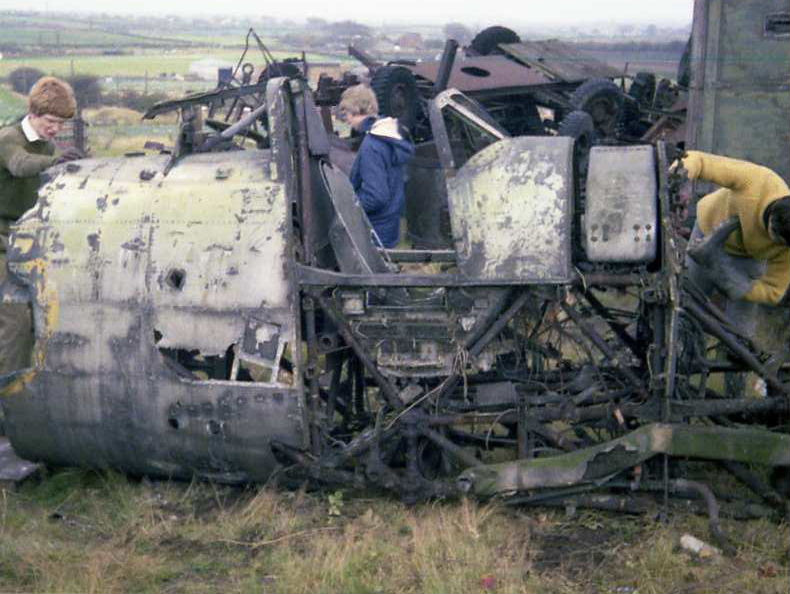 Picture taken from The Aviation Forum, as posted by user Wildcat on the 21st February 2006. 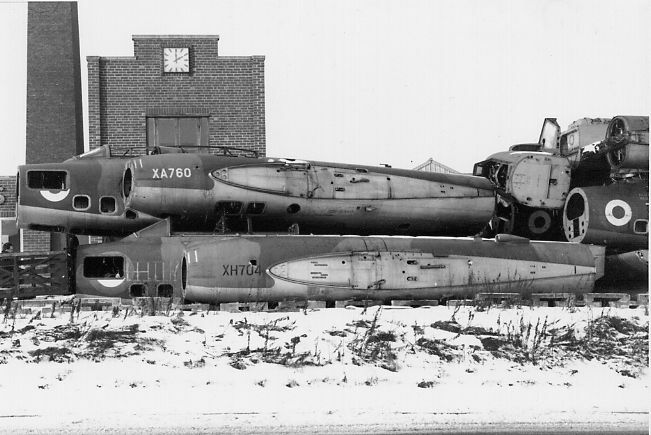 Browse the thread about aircraft scrapyards on The Aviation Forum where I found the photographs posted by user Wildcat. This entry was posted in Brownhills stuff, Followups, Interesting photos, Local History, Reader enquiries, Shared media, Shared memories, Spotted whilst browsing the web and tagged Bobdcuk, Brownhills, Brownhills local history, Brownhills Scrapyard, Canal, Cheap tat, Derelict, foundry, Local History, New Photos, Staffordshire, Super Alloys, Superalloys, typhoon, Vandalism, war scrap, Wildcat, york wings. Bookmark the permalink. Thanks for the pics..brilliant. I remember the yard well although I never went in. I lived up at Shelfield and only ever cycled or was driven past as a child. 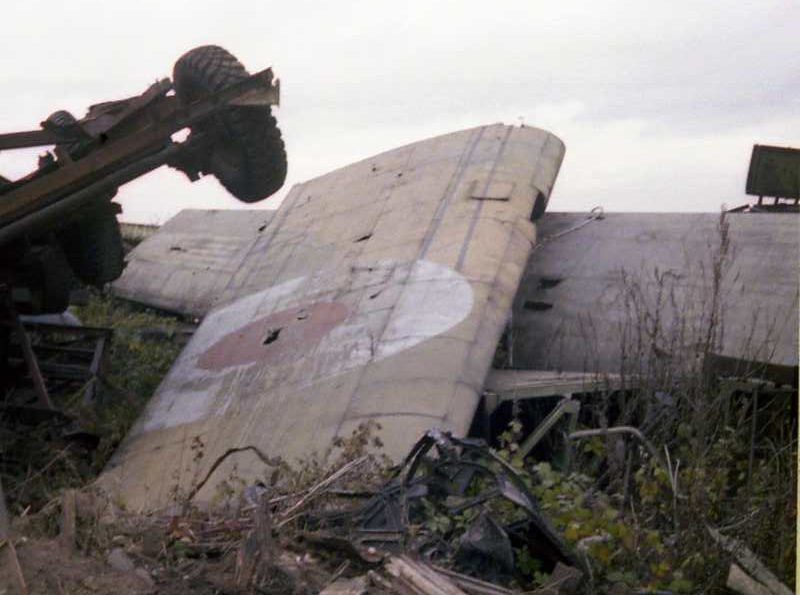 I remember Vulcan bomber wings propped up against a building wall like huge grey/white sails. The readers of this blog sometimes leave me speechless! Thank you, Roger, you really are amazing! I went in that place many a times in the 80’s with school friends, we just walked along the bank and got through the fence. I dug up a gas mask complete with hose and canister and I took it home. My mother made me throw it in the bin with all the other things I dug up like boxes of electrical equipment which didn’t seem to have been buried for that long (my dad went mad that I threw it away when I told him years later haha). There were no planes there when we were in there and everything we found we dug up. There must be still items buried.